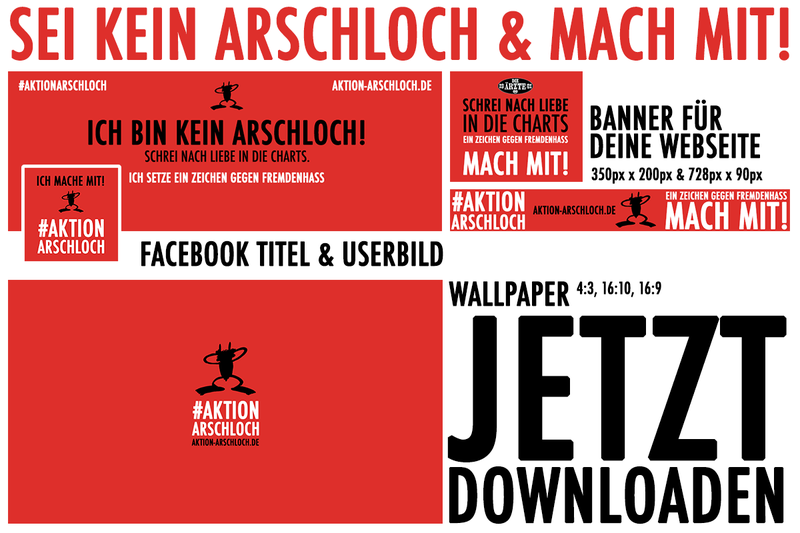 Join In – Aktion Arschloch! 1. Buy the song at iTunes, Google Play, Amazon, MediaMarkt or directly at Die Ärzte. Important: Rate the purchase with top score! And of course: Help the refugees!